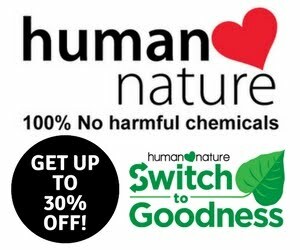 Their tea is always a very good and i love the balance of sweetness and genuine tea after taste. My too choice to order will always have to be their Thigh Rice Box in Soy Garlic. This is for 99pesos as 1 piece but sometimes I will do have the 2 pcs for 149pesos. Either way, as long as I have their signature chicken I am the happy me again. 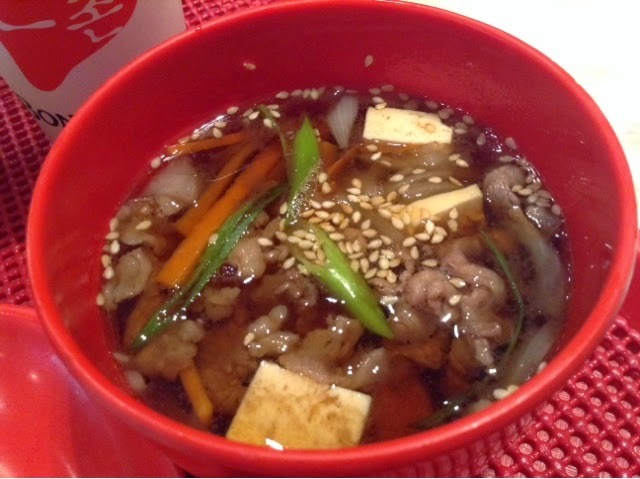 Another recommended prodcut will have to be the Bulgogi Soup which sells for only 75pesos I believe. The Bulgogi soup has all the beefy goodness. 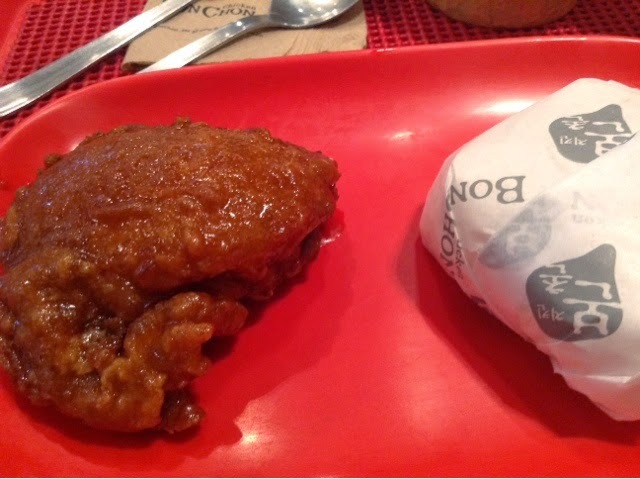 It is great to eat when its hot and gives authentic Korean feel. 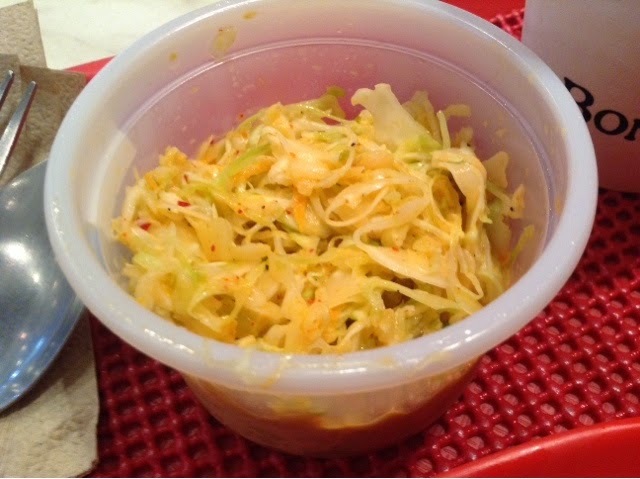 I wanted to try the Kimchi Coleslow since it looks yummy on the screen plus it is very new to my knowing. Sadly, I wasn't able to finish this one thiugh it is only for 30pesos I believe,still its sad not enjoiy this one. That's it for my post everyone. 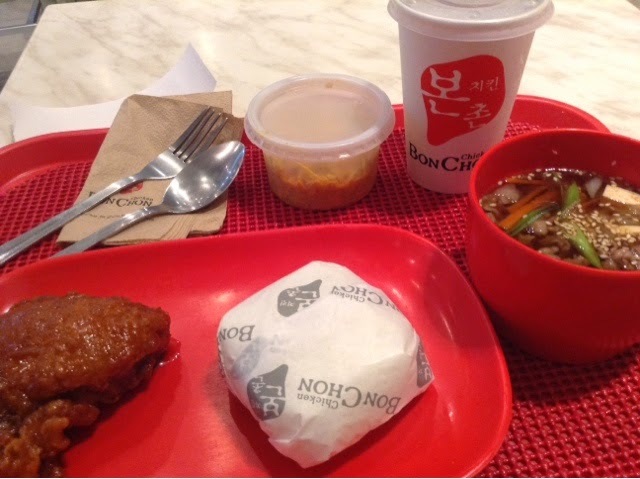 Hope you like and please do comment below what's you favorite Bonchon meal?